We own the success of our Olympic athletes but still reject their failures. He was a composite of everything you could dream of being. An outlaw bandana masked his mouth and shiny orange goggles hid his eyes, like a fighter pilot. Rockstar red hair flowed out from his sheer, black, Sith Lord helmet. Mist rose through the bandana. He breathed. He flew, too. Not like flying with a jetpack, or a wingsuit, or any of the graceless artifices produced by man, but in a way that was pure, anatomical. His speed wasn’t blinding and his power didn’t surge; he just rose higher, apart from everything else. In the air, he did dazzling things, combinations he alone could do, and when he landed, the impact came all at once, like a titan coming down and rending fissures in the Earth. When it was over, he reached up and removed his helmet and pulled away the bandana. Shaun White smiled. He was human after all. We hung gold around his neck. Even if you don’t know anything about snowboarding, White’s gold-medal performance in the halfpipe at the 2010 Winter Olympics was so titanic you were convinced you didn’t need to know anything else. The distance between him and the second-best rider was the difference between global phenomenon and total anonymity, between permanent memory and instant forgetting. Ever since his back-to-back golds in 2006 and 2010, American snowboarding was and is Shaun White and Shaun White alone. It’s easy to condense White’s talent, style and overall appeal into something as simple as “cool,” but his draw wasn’t just cool. The most appealing thing about White was how much better he was than everyone else. White, by himself, was just another outstanding athlete. White among his peers was the best snowboarder alive. It’s “cool” to be good at something, but it’s actually cool to be the best. Measurably, immeasurably, White was the best. Something about the Olympics presents athletes as representatives of more than their individual abilities. White’s greatness extended beyond himself and showcased the “triumphs of the human spirit” or the “extent of human potential,” but in reality, any athlete’s personal achievements don’t mean anything for what the layman can or can’t do themselves. The irony of White’s overt exceptionalism in the Olympics is how it was co-opted into something that could be applied to everyone, even though it never, ever could. Talent is exclusive. Gold medals go around one neck. Yet, the Olympics carry the weight of global politics, especially this year, as host South Korea unites with North Korea, the U.S. cedes the frontrunner position in the medal count to Eastern Europe and Russian athletes compete without a flag to lift above them if they win. These games are branded as important, and that makes its competitors important, too. Their talent now has a value beyond their achievements because their achievements have a value beyond the event. But the street only goes one way. When Olympic athletes fail us, their falterings don’t extend to any of those broader spheres or contexts. White crashed, literally, at the Sochi Olympics in 2014, taking fourth in the halfpipe that until then had been his holy ground. In both an athletic sense and cultural sense, he was as pedestrian as he had ever been because we confined his influence away from the world-changing ripples we hoped for and restricted him to the tight confines of his own career. 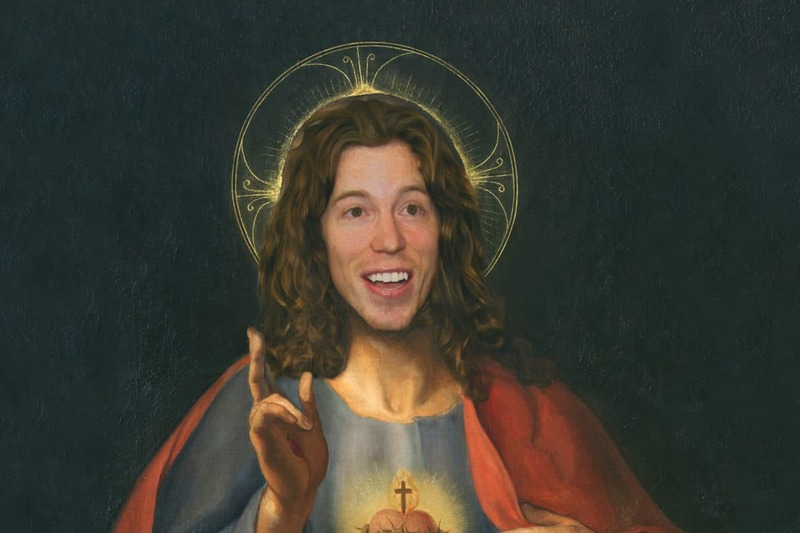 As soon as Shaun White didn’t meet our expectations for what a world-class athlete should give us, we stopped worshipping him. His challenges weren’t allowed into our lives, only his signs of power. The Olympic experience is cruel that way, but that goes for human fickleness in general. We build monuments to relationships—with athletes, friends or Saviors—who reward our attention with results, but at the slightest dip in returns, we tear those statues down. Our heroes lose a step. Friends prioritize something other than our plans. God doesn’t answer our prayers the way we want. In 2010, White delivered one of the most celebrated Olympic performances in modern history. In 2014, he was disposable. For the next two weeks, the Pyeongchang Games will frame White’s run as a redemption story, a chance for him to regain the literal and figurative mountaintop. That’s still covetous. If White takes another gold, we won’t let it be his victory; we’ll make it our victory. We’ll welcome him back into our arms. He’ll be worthy of our praise again. That wasn’t what it was like in the beginning, when we were the ones submitting to him. White rode so high we were forced to crane our necks upward and confess: There is no one like you. That’s the reality behind all sports. We like to think these athletes belong to us, to our country or to our city, but that’s the secret of their humanity—by nature of being people, they don’t owe us anything. And yet, even if we’ve seen their mortality before, it’s easy for us to come crawling back. All it takes is a miracle.